Trump and Kim's second summit in Vietnam last month collapsed over differences on U.S. demands for Pyongyang's denuclearization and North Korea's demand for sanctions relief. U.S. Secretary of State Mike Pompeo and the president "have been very clear that they remain open to the dialogue. They haven’t got a date on the calendar but our teams continue to work towards that," U.S. 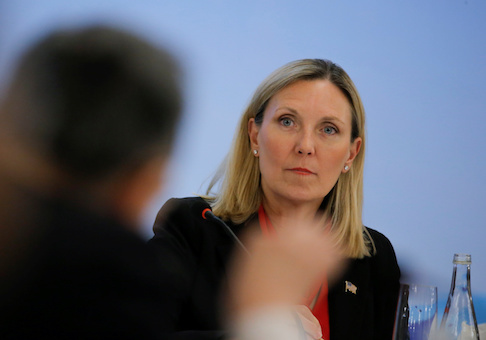 Under Secretary of State for Arms Control and International Security Andrea Thompson said when asked if there would be a third meeting.